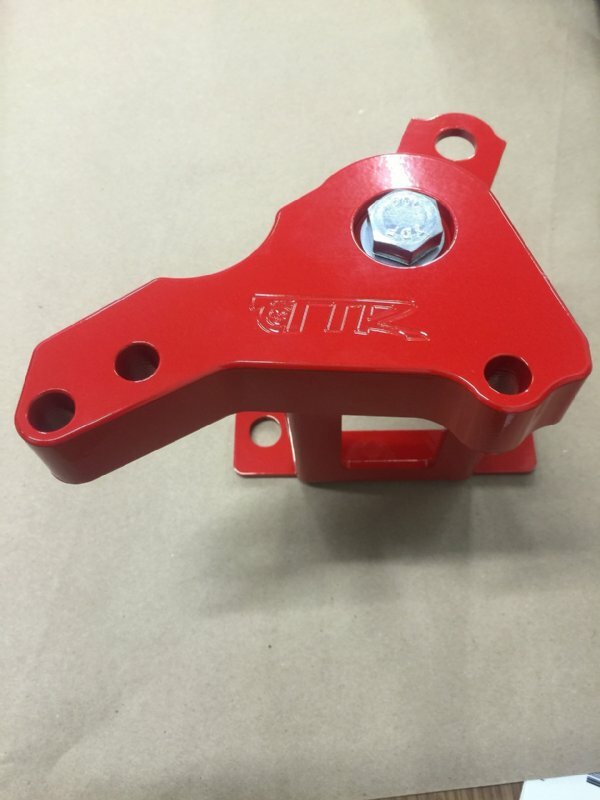 Turbo Tech Racing's Upper Engine Mount for the Ford Fiesta ST 1.6L Turbocharged. 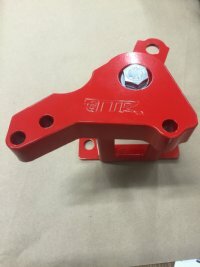 The Upper Engine Mount eliminates movement that your factory mounts have, maximizing torque and the transfer of energy to the driveline. In addition reduces wheel hop. Base is created from precision laser cut 3/16" Steel. Upper support is CNC Machined from Air Craft Grade 6061 T6 Aluminum. Your choice of 2 bushings colors: Red, or Black. Features high quality powder paint, your choice of many colors! Many other colors available! Email us with questions.